All of the moments that were hated. From his debut appearance in the early black-and-white serials of the forties, to his more recent team-ups with his fellow DC characters, Batman is one of the most successful brands in film history. Alongside that success, the Dark Knight has also had his fair share of controversy, which is bound to happen when a film is adapting a character with decades of comic-book adventures behind them. Many fans of the character have grown up with him as a part of their lives, which breeds a certain feeling of entitlement and ownership. Tim Burton's Batman '89 remains a staple of the genre. It launched an entirely new wave of comic book films in the nineties and was a crucial first step towards getting to the comic-book movie boom audiences are living through today. But the film was controversial from the get-go. Keaton's casting was infamously derided upon announcement, many questioned Burton's ability to handle the larger production, and the Prince soundtrack seemed like a bit of an odd choice. But when the film was released, it was to great acclaim. Well, mostly. 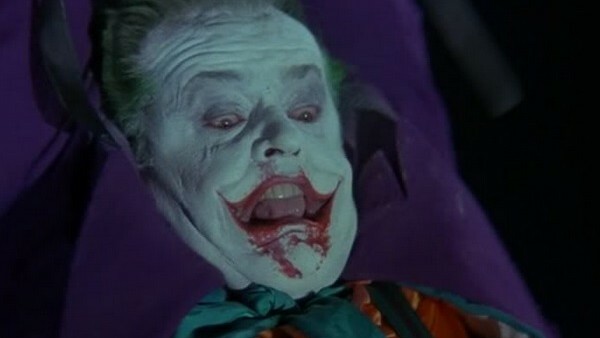 At the end of the film, as Jack Nicholson's Joker is about to escape, Keaton's Batman pulls an uncharacteristic move and straight-up murders him to stop him from escaping. He fires a grappling hook that ties around Joker's ankle and a loose gargoyle, ripping the gargoyle off and sending Joker falling to his doom. It's frequently argued that Batman wasn't actually trying to kill Joker, rather just to stop him. But even if that gargoyle hadn't come loose, that grappling line would have just ripped Joker's foot clean off. Plus, this is all off the back of Batman realizing Joker was the one who killed his parents in this continuity. So yeah, Batman's a murderer.